Utah Governor hopeful, Mike Weinholtz, is supporting his wife throughout his campaign, proving that he truly is in favor of cannabis legalization. Running for an elected office is difficult enough without being followed by scandalous events. Utah’s Governor nominee, Mike Weinholtz, is dealing with just that, but the situation in question doesn’t even involve any actions of his own, rather his wife is the one being brought under suspicion. After investigators found more than two pounds of cannabis in the couple’s home, Donna Weinholtz is now facing misdemeanor charges that could cost her family much more than a fine. Donna Weinholtz’s troubles all started in earlier this year when U.S. postal service workers intercepted a package she was trying to mail from her home in Salt Lake City, Utah to her home in California. After becoming suspicious of the parcel, postal service representatives opened it and found a small amount of cannabis. Sending cannabis through the mail is not only highly illegal, it falls under the federal jurisdiction, where cannabis remains 100% illegal, whether medical laws are present or not. 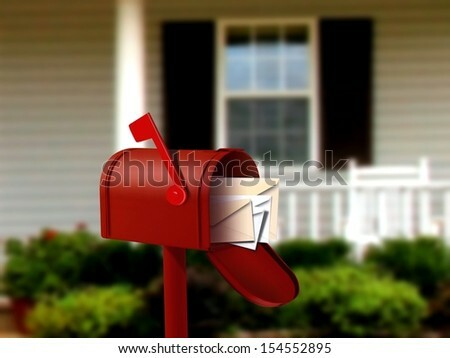 After discovering the illicit mail, federal investigators entered the Salt Lake City home to conduct a search. Investigators were astonished when they found more than two pounds of dried cannabis, ready for smoking, inside the home. In Utah, it remains illegal to possess cannabis, except for a small handful of people who suffer from severe epilepsy. Those suffering from epilepsy, a condition Donna does not have, are treated with CBD oil, not dried flowers. While Donna might not suffer from the seizure-ridden illness, she does suffer from severe and chronic pain, which she has been open about treating with medical cannabis. After completing their investigation and conducting interviews with the accused, federal agents decided there was no reason to prosecute at such a high level and turned the case over to Salt Lake County prosecutors. Throughout the investigation, Mike Weinholtz has never wavered on giving support to his wife. He’s also never hidden the fact that Donna is being investigated for possession of cannabis. When announcing his campaign for Governor in April of this year, Mike made it clear that he would fight for the legalization of cannabis in the state of Utah because his wife was being prosecuted and because he knew the medical power contained within the plant. She refuses to use addictive opiates, and used cannabis after suffering when other medicinal options were either invasive, ineffective or addictive. We have complied at every step of the judicial process and now that we know where the case is landing, we look forward to having the issue resolved and moving on. However pure their intentions might be, it will undoubtedly catch the interest of many voters who like to stay informed before an election.